Daughter of Saint Richard the King. 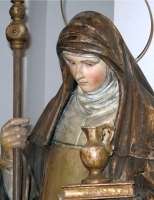 Sister of Saint Willibald and Saint Winebald. Student of Saint Tatta at Wimborne monastery, Dorset, England, where she later became a nun. The night of 1 May, the date of the translation of Walburga's relics to Eichstätt in 870, is known as Walpurgisnacht; it is also a pagan festival marking the beginning of summer and the revels of witches. Though the saint had no connection with this festival, her name became associated with witchcraft and country superstitions because of the date. It is possible that the protection of crops ascribed to her, represented by three ears of corn in her icons, may have been transferred to her from Mother Earth and the connection to this pagan holiday. Daughter of Baron Benedict Pisani Mompalao Cuzker and Vincenza Carrano. Her father was rich, noble, Maltese, and an alcoholic, so the girl was raised by her grandmother. Her father was involved in a revolt, and exiled to Malta in 1821; Adeodata and her mother joined him in 1825. Benedictine novice at age 21; she renounced her wealth and title when she took her final vows. Cloistered nun for the rest of her life. Seamstress, sacristan, porter, teacher, and novice mistress. Abbess from 1851 to 1853, her ill health forcing her to end her service early. Noted for her sanctity, her love of the poor, self-imposed austerities, and ecstacies so complete that she was seen to levitate. Born of Spanish peasants. Shepherd as a child, and a hired field hand as a young man, helping to support his family. Gentleman's valet at Salamanca. He travelled to Puebla, Mexico at age 31 where he built plows and wagons, and worked as a farm hand. Spent 10 years building a 466 mile road from Mexico City to Zacatecas, and conducting the postal and delivery service along the route; the road is still in use today. Sebastian eventually became very wealthy, but lived simply, and gave freely of his money to the poor. He was married twice, the first time at age 60, but he never consummated the marriages, and outlived both brides. He gave away his wealth and became a Franciscan at age 72, spending his remaining 25 years begging alms for his brother Franciscans. Witnesses attest to over 300 miracles he performed in life. 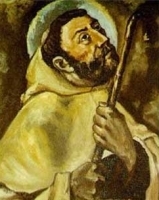 Carmelite lay brother. Miracle worker who received visions, and was known for his deep, mystical prayer life. With a brother Carmelite, he made a pilgrimage to the Holy Lands, but died in a plague epidemic on the way home. Born to a poor family, and orphaned as a young boy. Layman. Day labourer in Guangxi, China, and then in the village of Yaoshan. Married in his early 30's, he was the father of one daughter, and was known as a kind and honest man. Convert, joining the Church c.1855 and taking the name Lawrence. 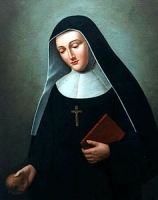 Spiritual student of Saint Augustus Chapdelaine. When he protested the arrest of Augustus, local officials ordered Lawrence to renounce Christianity; when he refused he was arrested, tortured and sentenced to death. Martyr. Ordained at age 21; he had to receive special dispensation from the Vatican to be ordained so young. Parish priest in Tequila, Jalisco, archdiocese of Guadalajara, Mexico. Parish priest in Agua Caliente, Mexico. Known for a great devotion to the Eucharist. Murdered during the Mexican Revolution for being a priest. One of the Martyrs of the Cristero Wars. Son of a village priest, he became a priest himself. 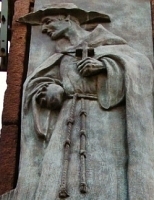 Archpriest at Rennes, France where he was known both as a reformer (which often stirs up trouble), and as a peace-maker. Teacher at Angers, France. Hermit in the forest of Craon, France where he founded a community of canons. He was a noted preacher, and when Pope Urban II heard him speak in 1095, the pope ordered Robert to devote himself to preaching. He travelled the region, preaching missions, attracting would-be students, and being accused by his detractors of sleeping with the local women who listened to him. He founded a double monastery that became the modern Fontevraud-l'Abbaye in Pays-de-la-Loire, France. He wrote a Rule for the community and handed over its administration to an abbess; it soon became the mother-house of the Order of Fontevraud, and the Rule received papal approval in Calixtus II in 1119. Youngest of five children in a poor but pious family. By age 14 he felt a call to the priesthood, studied at the seminary in Salerno, Italy and was ordained in the diocese of Tursi-Lagonegro, Italy in 1794. He was assigned to his hometown of Lauria, Italy and worked there the rest of his life. Known for his self-imposed poverty, his devotion to the Eucharist and Our Lady of Sorrows, as a noted homilist, for his work with the poor, and for being always available to his parishioners. He turned his home into a school, teaching catechism and theology, but also literature and philosophy. His humble devotion to the Church and his parishioners led all who knew him to consider him a model for priests, and a saint even in life. Ordained on 27 June 1858. Auxiliary Bishop of Toledo, Spain, and Titular Bishop of Areopolis on 28 January 1876. Bishop of Avila, Spain on 27 March 1882. Bishop of Madrid, Spain on 10 April 1886. Archbishop of Valencia, Spain on 6 October 1892. Elevated to Cardinal-Priest of San Pietro in Montorio on 18 May 1894 by Pope Leo XIII. Founded the Congregation of the Sisters of Charity of Cardinal Sancha. Archbishop of Toledo, Spain and Patriarch of the West Indies on 24 March 1898. Participated in the conclave of 1903 that elected Pope Saint Pius X. Son of Saint Gregory of Nazianzen the Elder and Saint Nonna. Brother of Saint Gorgonia and Saint Gregory of Nazianzen. Studied in Caesarea, Cappadocia, and Alexandria, Egypt. Noted and skillful physician. He moved to Constantinople c.355 where he became wealthy in his profession. Served in the court of Emperor Julian the Apostate who tried to get Caesarius to renounce his faith; when he refused, he was exiled. From there he moved to Bithynia where he served Emperor Valens as quaestor. Confirmed bachelor, though he had offers to marry into nobility. Upon his death he donated his entire estate to the poor. Studied at Don Bosco's Oratory from age 12. Salesian. Ordained on 21 December 1895. Missonary to China in 1906. Appointed vicar apostolic of Shiuchow, China, and titular bishop of Carystus, on 22 April 1920. On 25 February 1930, while travelling with Saint Callistus Caravario, his ship was boarded by Bolshevik pirates who planned to abduct and enslave the girls on their ship; Callistus and Luigi fought to prevent them. Marytr. Known as a pious and prayerful child. Salesian missionary priest. He worked at Macao, China, then in Timor, and then on 18 May 1929 in Shiuchow, China. On 25 February 1930, while travelling with his bishop, Saint Luigi Versiglia, his ship was boarded by Bolshevik pirates who planned to abduct and enslave the girls on their ship; Callistus and Luigi fought to prevent them. One of the Martyrs of China. 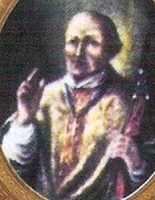 Bishop of Girgenti (Agrigento), Sicily. Worked for the restoration of Christianity throughout Sicily after the Saracens were driven out by his relative, Robert Guiscard of Normandy. Ninth century patriarch of Constantinople. A man of great learning and personal piety, he led his flock through the Iconoclasm heresy, and worked against the cruel empress Irene. Pope Adrian I addressed an epistle to him in support of his work against the Iconoclasts. In addition to problems with the heretics, he was endlessly in trouble with the Byzantine courts and mobility for denouncing their vices and worldly ways. Bishop of Side, Pamphylia (in modern Antalya, Turkey), known for his personal piety and his zeal as an evangelist. Arrested and executed by order of governor Epolius during the persecutions of Decius. Martyr. Benedictine monk at the Saint Blaise monastery in the Black Forest. Founded the abbey of Engelberg nell'Unterwalden in Switzerland, then served there as prior and abbot. Daughter of Saint Vincent Madelgarus and Saint Waldetrudis; sister of Saint Madalberta; niece of Saint Aldegund of Maubeuge. Nun and then abbess at the convent led by her aunt Aldegund. Third-century priest. Martyred in the persections of Diocletian along with seven soldiers whose names have not come down to us. Hermit in a cell high in the Alps near a mountain range and pass now known as Saint Gothard in his honour. Monk at Saint Gall in Switzerland. Hermit in the Vosges, France. One of a group of 3rd-century Christians martyred in North Africa in the persecutions of Decius. A group of Christian men who were exiled to Egypt for their faith and were eventually martyred for their faith in the persecutions of Numerian. We know little more than the name - Claudianus, Dioscurus, Nicephorus, Papias, Serapion, Victor and Victorinus.